Art Olympics champions Nathan Curtis, Elizabeth Rudnick, David Zak and Craig Freeman. Photo copyright, Larry Rippel. 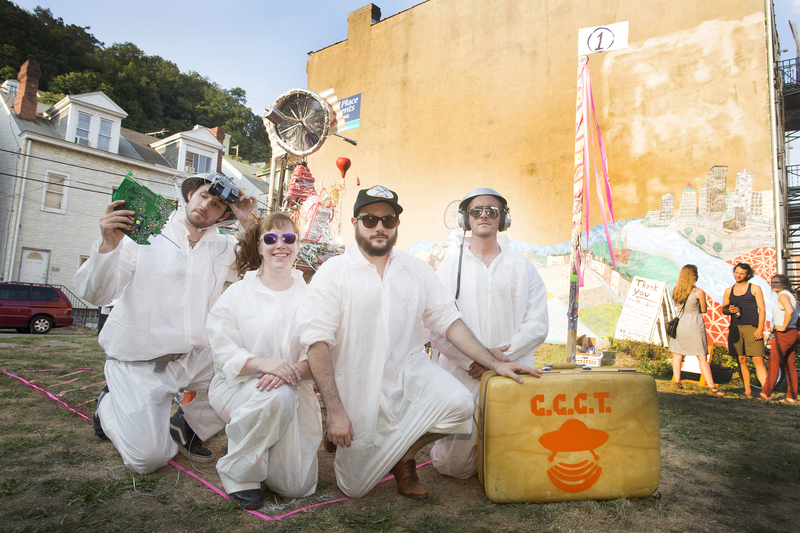 On Saturday, August 29th at 6:30 PM, Artist Craig Freeman and his team, the Commission for Cosmic Craft Transmission, were declared winners at the Art Olympic Festival in East Deutschtown, Pittsburgh. Rounding out Mr. Freeman’s team were artists Elizabeth Rudnick, Nathan Curtis and David Zak. 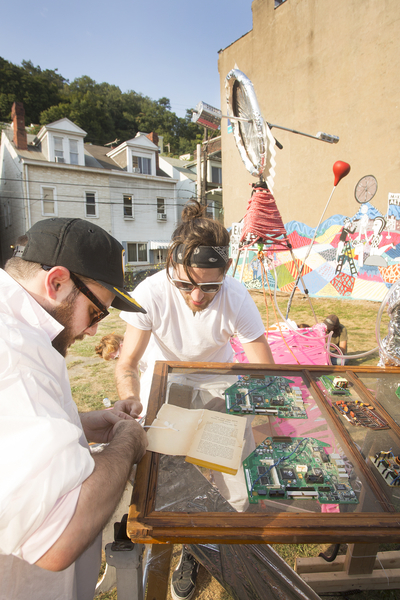 The team members, who are also skilled art installers at some of Pittsburgh’s most prominent galleries, exhibited focus and ingenuity in repurposing the random junk provided for the contest. Their science fiction theme included the use of screen-printed costumes with a flying saucer logo and team abbreviation, C.C.C.T. 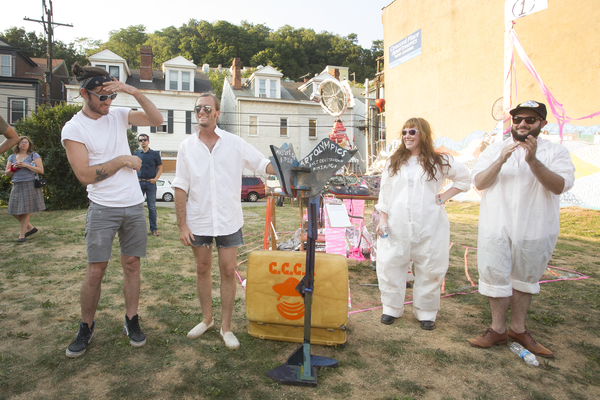 Their performance involved attempting to contact extraterrestrials with the intention of petitioning for a living wage for Pittsburgh artists. An antenna was raised and their plea was answered by a supportive signal from the beyond. Also exhibiting strong showings at the Olympics were Hyla Willis, with teammates Ryan A. Murray, Felipe Garcia-Huidobro and Hannah G. Thompson and D.S. Kinsel with teammates Daryl Collier, Anqwenique Wingfield and Julie Mallis. 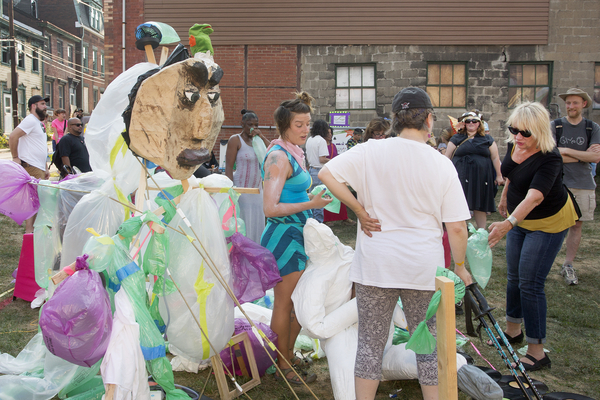 Ms. Willis and team invited audience members to participate in the creation of inflated plastic sculptural forms, some of which became props for catching the wind. 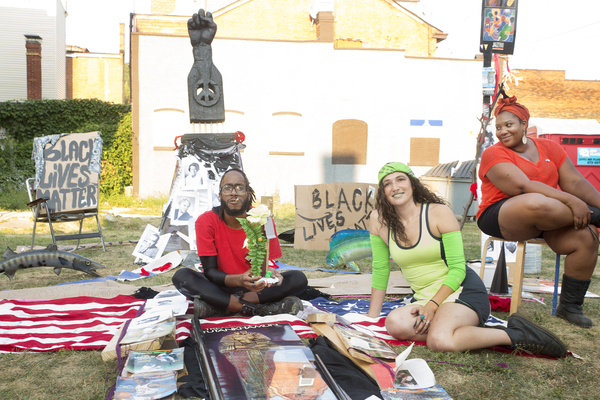 Mr. Kinsel and his team, representing the Garfield art studio Boom Concepts, explored the Black Lives Matter theme. Their performance culminated in a multidisciplinary display of operatic voice, sculptural form and symbolic gesture. 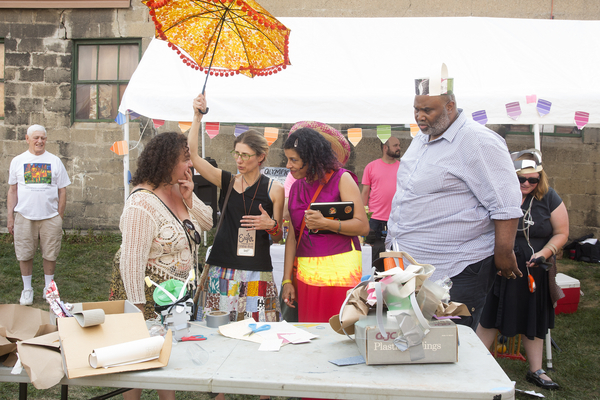 Judges for the competition included Erika Johnson, Executive Director of Pittsburgh Center For Creative Reuse, multidisciplinary artists Christiane D and Maritza Mosquera and Wayne Younger of Cityview Church. 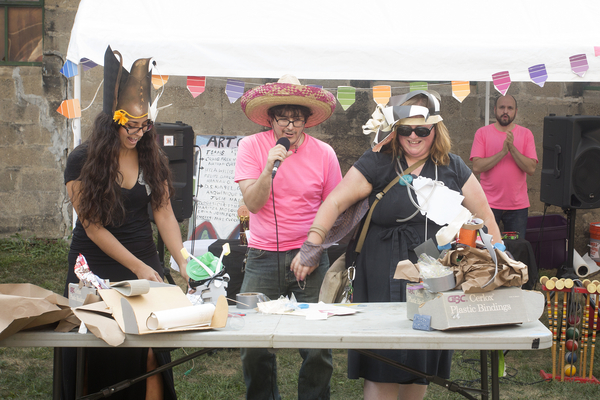 Teams were rated in various categories including: creative use of materials provided, following the rules, adherence to team artist statement, aesthetic quality of the final product, and the performance element during the two-hour long event. 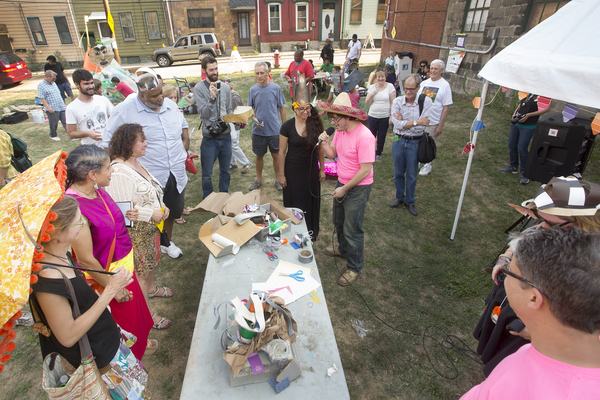 Developed by Pittsburgh artist Tom Sarver, Art Olympics features three teams of Pittsburgh artists competing over two hours to build winning sculptures out of random junk materials. 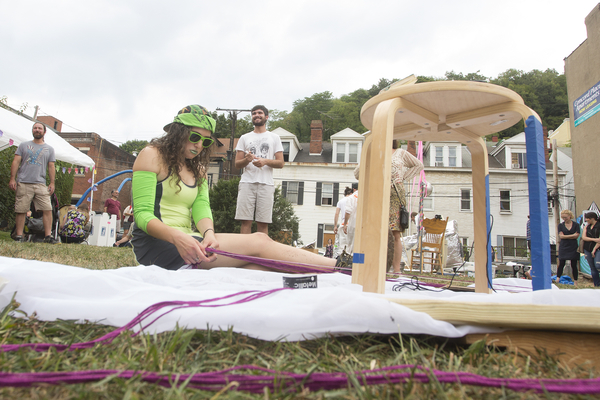 The high-energy, reality TV-inspired event allows visitors to get up close and see the art making in progress. 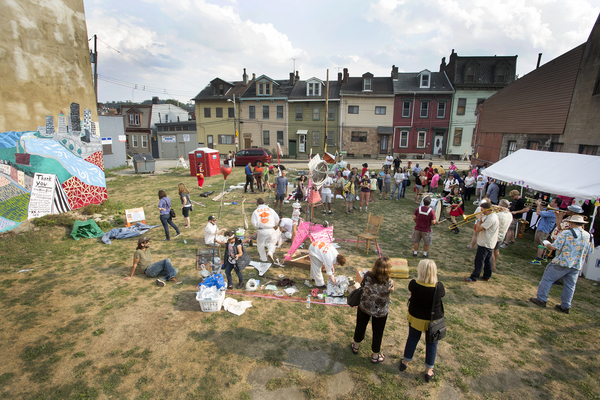 Previous Art Olympic events have been held at the Mattress Factory Museum of Art, the Union Project, Market Square during the Three Rivers Arts Festival, New Hazlett Theater, and Pittsburgh Center for the Arts. 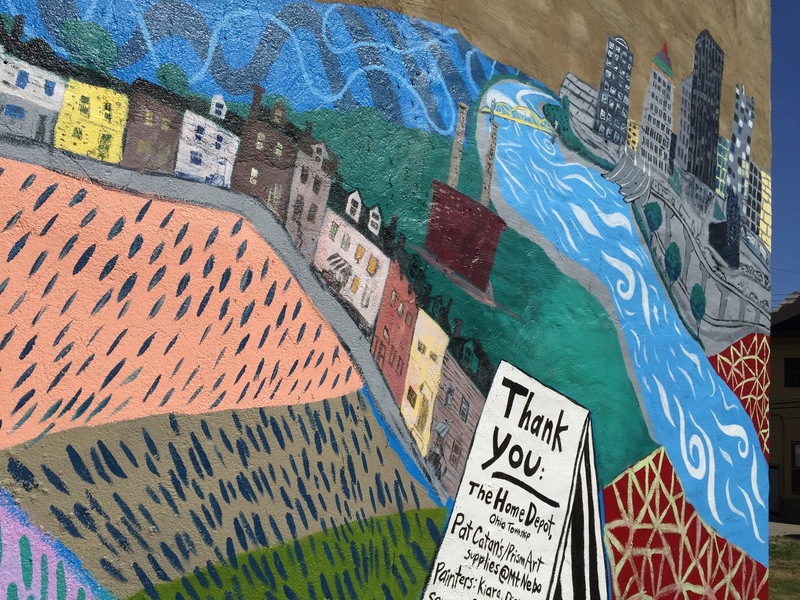 East Deutschtown Mural – MAKE ART! 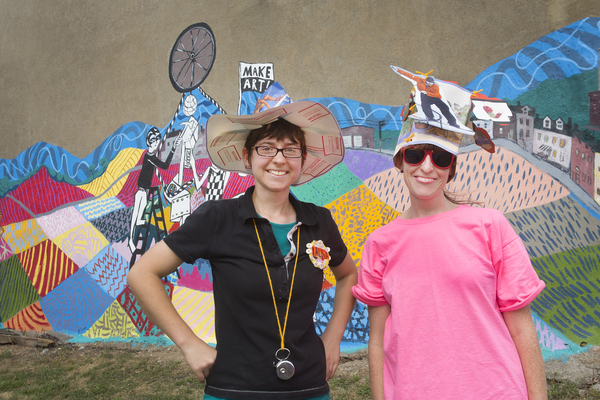 After about seven days of painting, including a mural painting workshop with neighborhood teenagers, the East Deutschtown, Pittsburgh mural, titled MAKE ART! is completed. 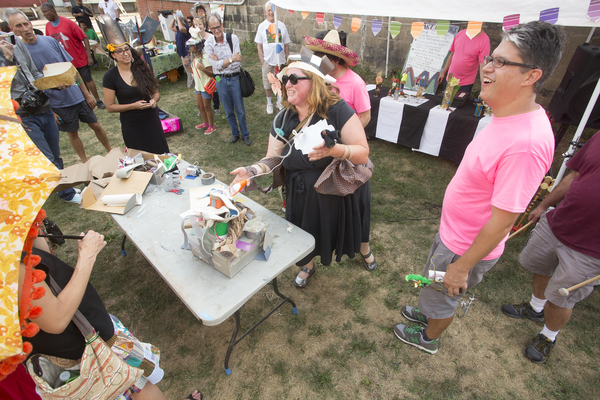 The piece celebrates the spirit of assemblage sculpture, as demonstrated in the event, Art Olympics. In the center of the piece, three sculpture-like figures attempt to create a kinetic sculpture out of found materials. 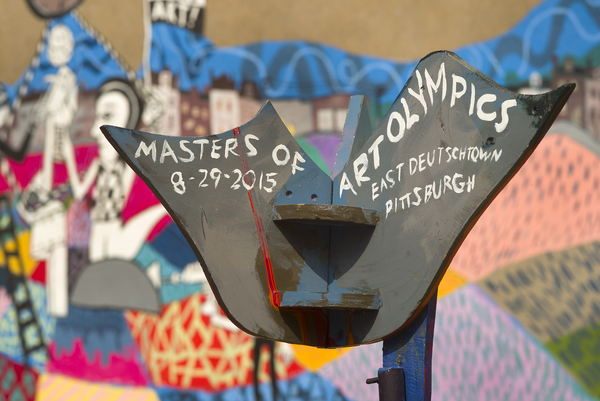 On the left, a sign marks the East Deutschtown location for the August 29th 2015 Art Olympic Festival. 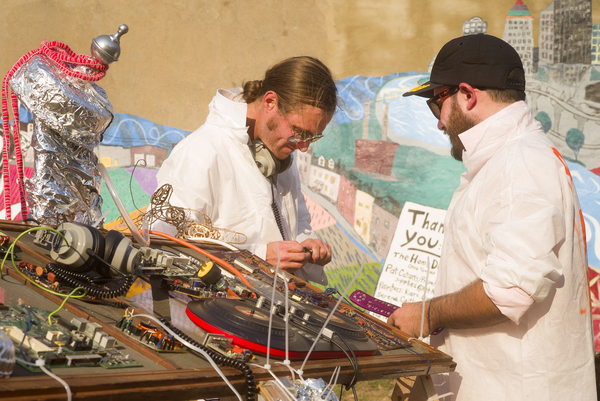 Two musicians and a spectator represent the interactive nature of the event. At the suggestion of local residents, the City of Pittsburgh and other local landmarks were added. Generous donations of paint were provided by The Home Depot at Ohio Township and Pat Catan’s / Prism Art Supplies at Mt. Nebo. 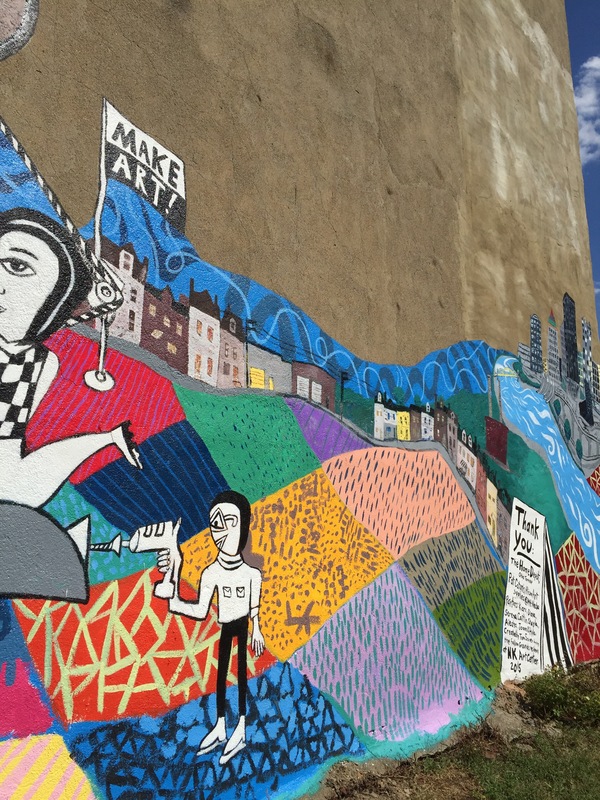 The new Northside Pittsburgh mural titled, “Make Art!” was completed on August 24th. The City of Pittsburgh was added after hearing some feedback from local residents. 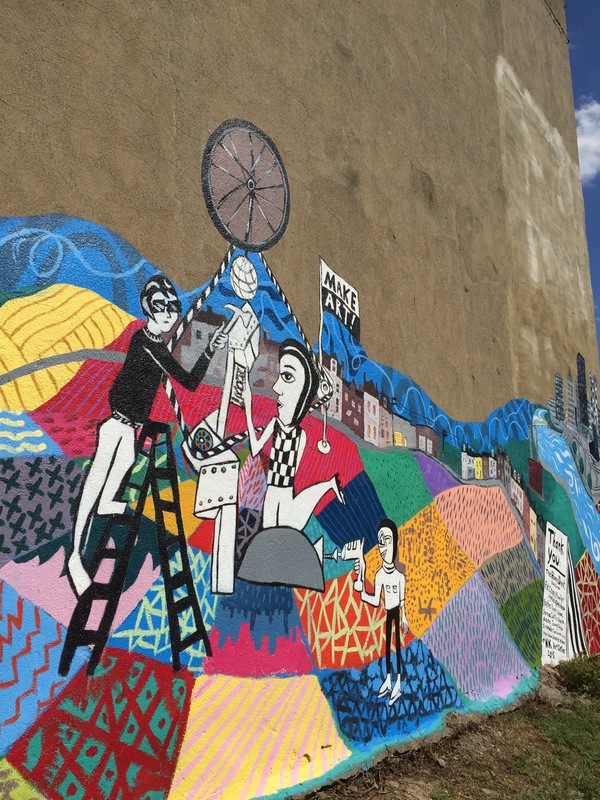 The completed mural spans the length of an apartment building. Mural in progress at event site. 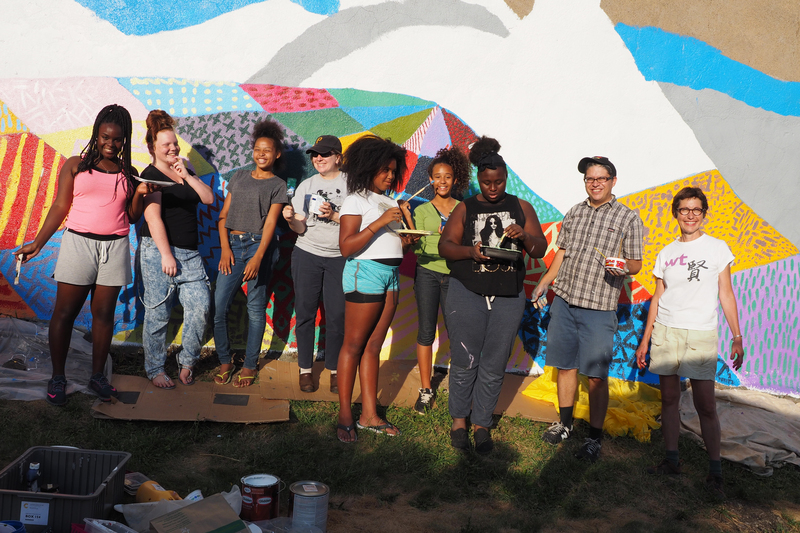 A group of teenage girls from the East Deutschtown neighborhood assisted in painting the foreground of the mural during a workshop. Mural workshop crew. Photo courtesy of NK Contemporary Art Center. 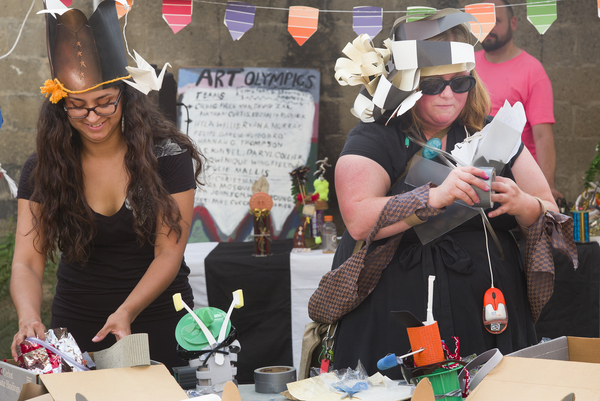 During a trophy-making workshop, community participants made Art Olympic Trophies for artists participating in the August 29th Event. The pieces were made with materials from Pittsburgh Center for Creative Reuse. 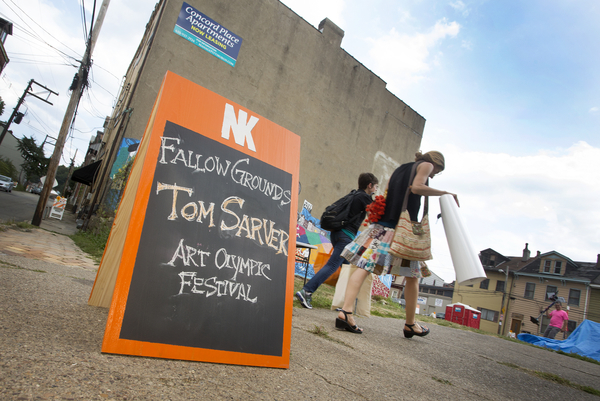 Neu Kirche Contemporary Art Center (NK) presents a new public work by August featured resident artist, Tom Sarver as part of NK’s public art program, Fallow Grounds for Sculpture (FG). 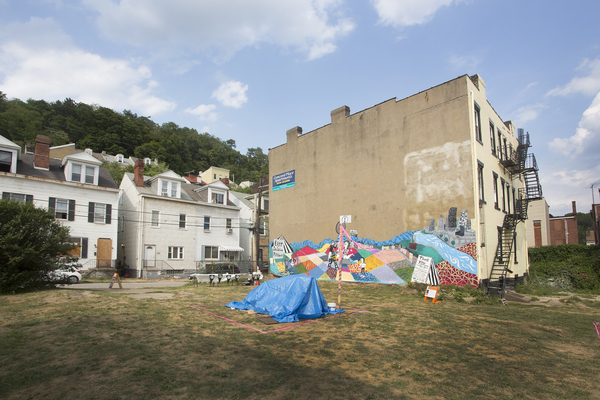 Fallow Grounds is a public art initiative that temporarily activates vacant land located in the East Deutschtown neighborhood of Pittsburgh’s Northside to enhance community interactivity by making otherwise empty spaces as active places for healing, growth and revitalization. 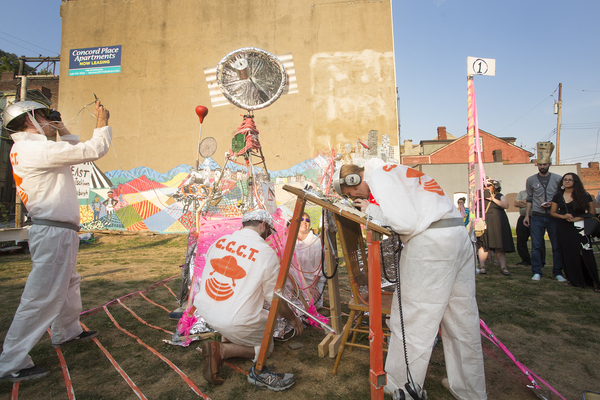 On Saturday, August 29th, during NK’s Opening Celebration artist Tom Sarver brings his popular Art Olympics back as an outdoor festival event. 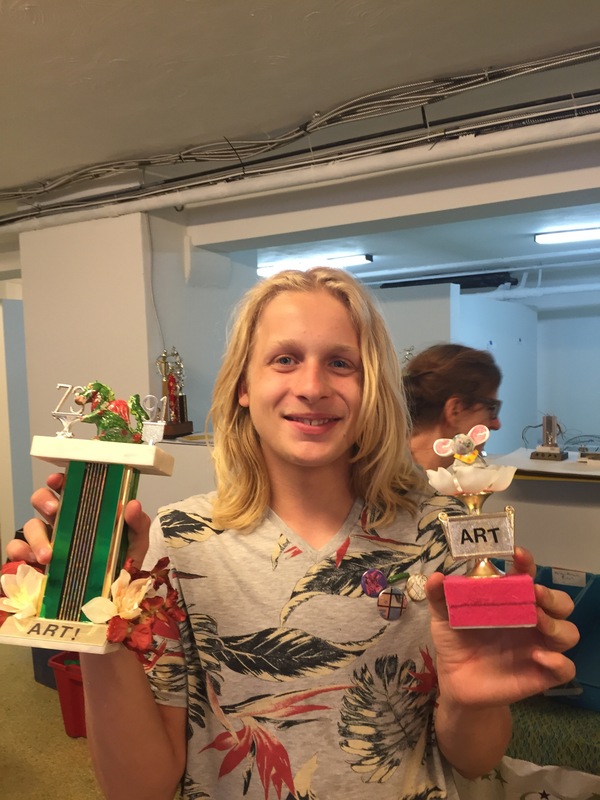 Sarver’s residency kicks off on August 4th with a free trophy making workshop from 5-7 pm, followed by an artist talk at Neu Kirche Contemporary Art Center with sponsorship by Pittsburgh Center for Creative Reuse. 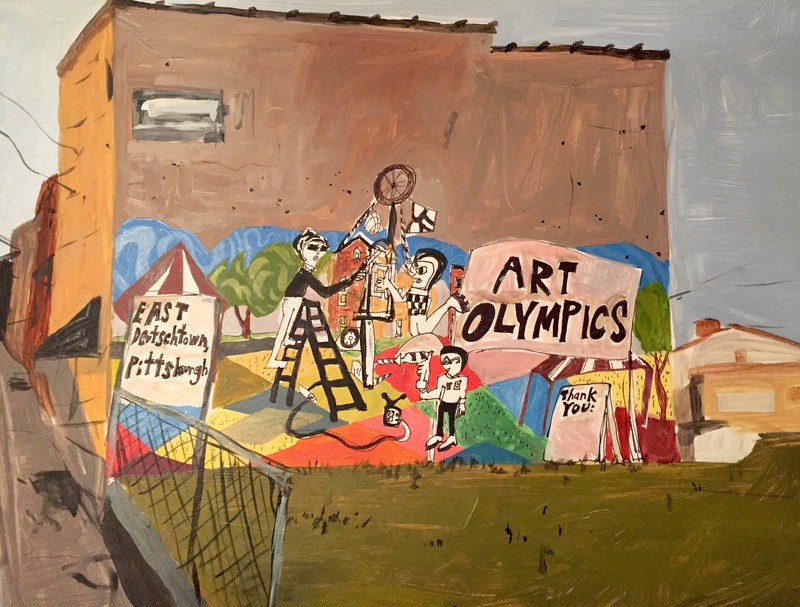 On Wednesday, August 5th, a mural celebrating Art Olympics will be created at the event site with the City View Youth Group. 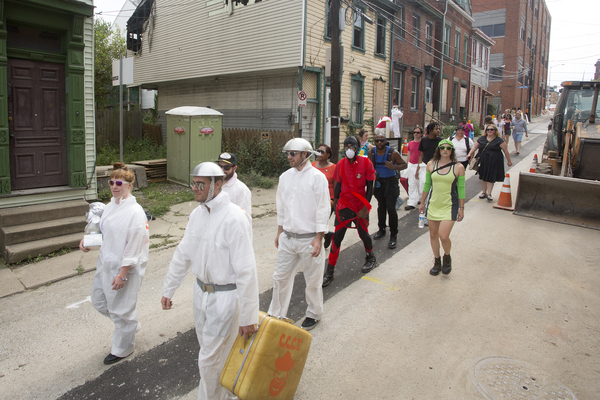 The main event, Art Olympic Festival, happens on Saturday, August 29th, rain or shine. The grounds will open at 4:00 PM. The opening ceremony with begin at 4 PM and the winners announced at 6:30 PM. 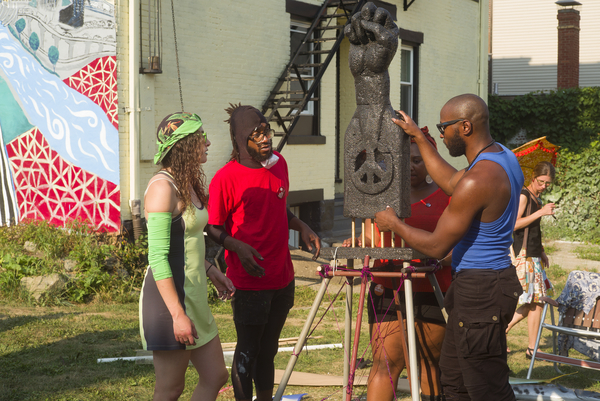 Inspired by game shows, reality TV and arena sports, the event features three teams of Pittsburgh artists competing over two hours to build winning sculptures out of random junk materials. The high-energy event allows visitors to get up close and see the art making in progress. 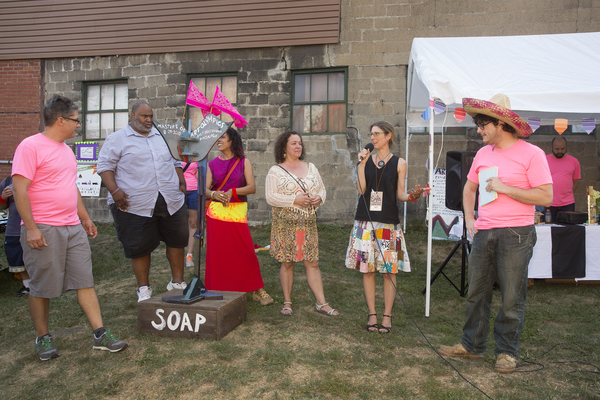 Teams are judged by a panel of community members and arts professionals. 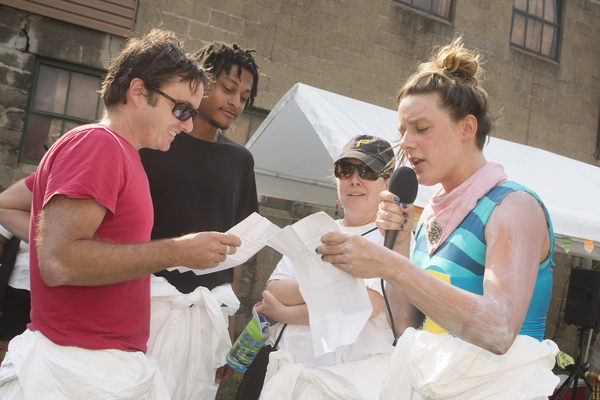 Criteria for judging includes “creative use of materials” and “adherence to the team artist statement.” Teams often engage the audience in unexpected ways as the performance element is a key factor in the competition. Why is it a Festival? The event will feature live marching band music by Colonel Eagleburger’s Highstepping Goodtime Band. 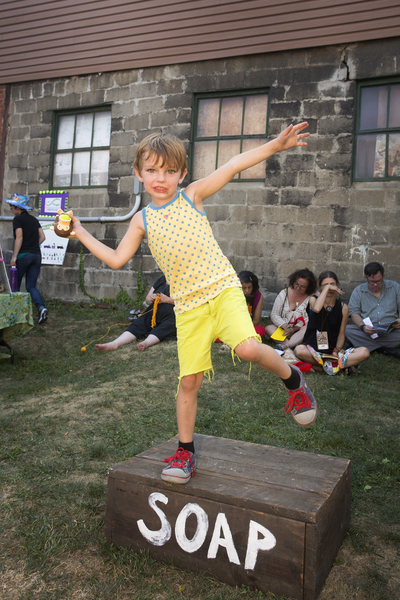 Audience members will be able to try on-site art making activities including puppet making and printmaking. Some lucky audience members will be selected to compete in a short “halftime show” art making contest. 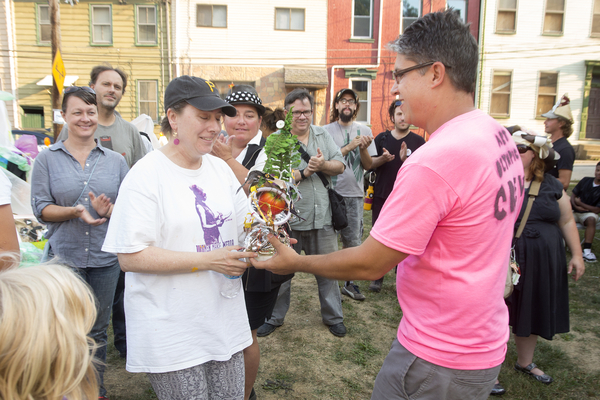 At the culmination of the event, performers will be awarded with trophies made by members of the community. The event is fully accessible via Spring Garden Ave and Concord Street. Food trucks will be available in the Neu Kirche parking lot. Parking is available at the UPMC parking lot on Spring Garden Avenue. Tom Sarver and Mike Cuccaro will moderate the event. Judges include Maritza Mosquera, Christiane Leach, Wayne Younger and Erika Johnson. Team leaders are Hyla Willis, Darrell Kinsel and Craig Freeman. 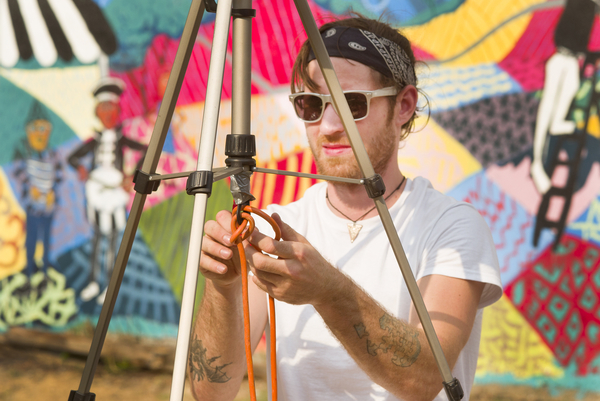 Craig Freeman has been active as a visual artist, gallery owner (Fast Forward) and musician (Lost Realms) in the Pittsburgh art scene for the past six years. Born in isolated area of rural Pennsylvania, his sensibilities were formed by his thirst for all things cultural, including underground music, street art and skateboarding. Freeman has been a part of the gallery installation crew at the Pittsburgh Cultural Trust’s Wood Street and Space Galleries for several years, hanging shows in all forms ranging from complex international kinetic and new media works to paintings by local artists. Freeman will be joined by an all-star lineup of fellow art handlers Elizabeth Rudnick, Nathan Curtis and David Zak. They are the ones that help you to get your show up on time for your opening reception! 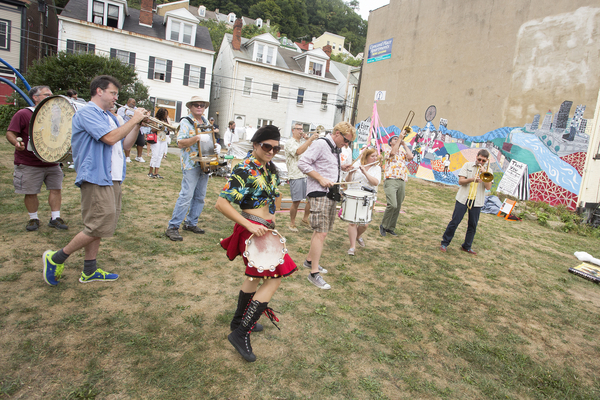 All are showing and playing gigs in the Pittsburgh art and music scene. Hyla Willis is an artist and designer working across a wide range of media. She is a co-founding member of subRosa, a mutable (cyber)feminist art collective that creates open-ended environments where participants engage with objects, texts and digital technologies that critique the intersections of information and bio-technologies on women’s bodies, lives and work. 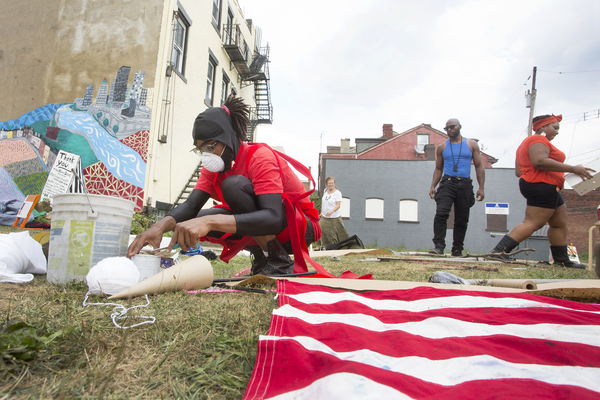 She was selected as Pittsburgh Center for the Arts’ 2014 Artist of the Year and created “America’s Least Livable City,” an installation about her hometown in the Central Valley of California. Willis has been the recipient of fellowships from the Pennsylvania Council on the Arts, Creative Capital, and the MacDowell Colony. She teaches Media Arts at Robert Morris University. Willis’s team will include Ryan A. Murray, Felipe Garcia-Huidobro and Hannah G. Thompson. D.S. Kinsel is a creative entrepreneur and arts administrator based in Pittsburgh, PA. 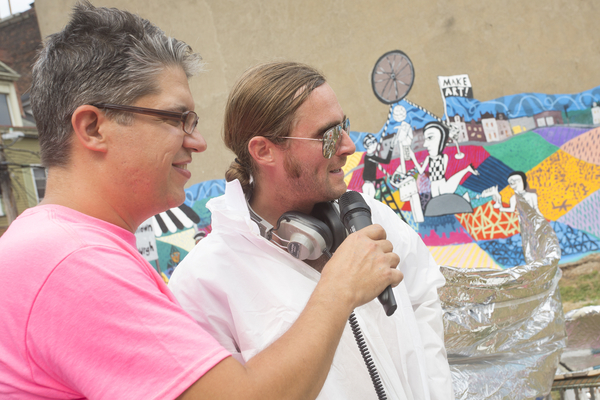 He expresses his creativity through the mediums of painting, installation, curating, action painting and social media. As a recipient of The Pittsburgh Foundation’s Advancing Black Arts in Pittsburgh Grant, he served as the resident artist at 720 Café, where he provided the boutique with creative support while producing commercial-based print work and window displays. 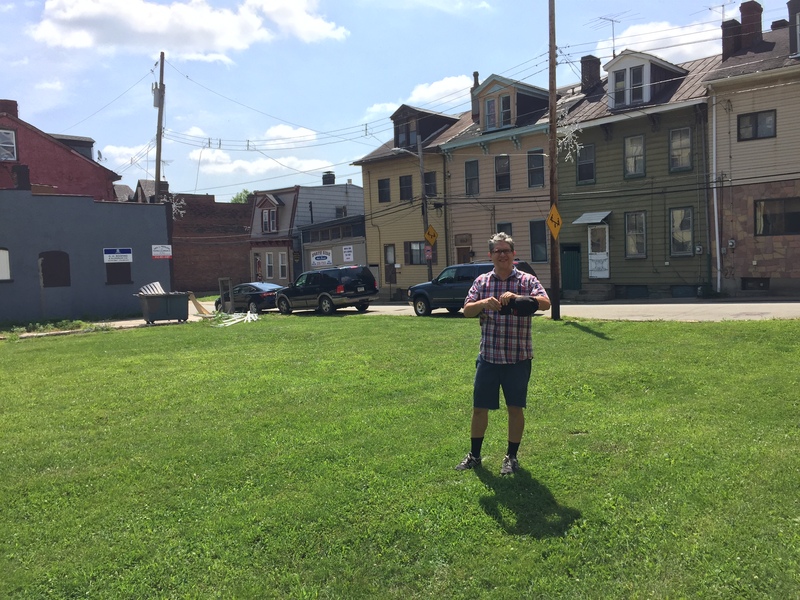 He is currently a resident artist with Most Wanted Fine Art Gallery (supported by the Artist Opportunity Grant from Greater Pittsburgh Arts Council). Kinsel is the co-founder of BOOM Concepts, a combination workspace and creative hub in the Garfield neighborhood of Pittsburgh. 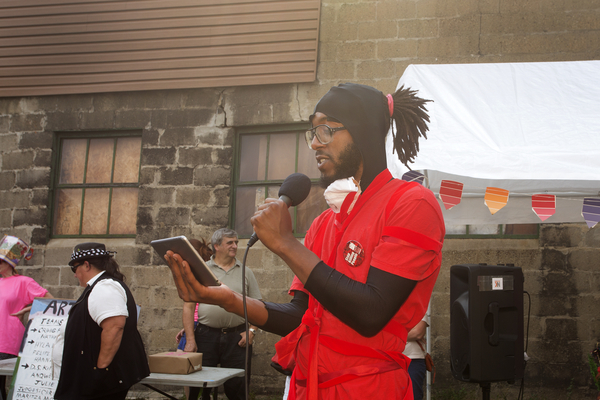 Kinsel has served as the MGR Pittsburgh Youth Empowerment Arts in Action Program Coordinator & MGR National Social Media Coordinator. 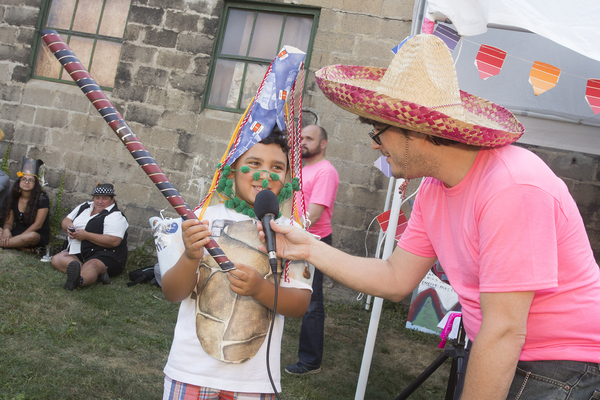 He works with youth, community artists, and community partners to identify ways for youth to express issues of social justice through drama, dance, music, visual art, and technology. Kinsel’s team will include Daryl Collier, Anqwenique Wingfield and Julie Mallis. 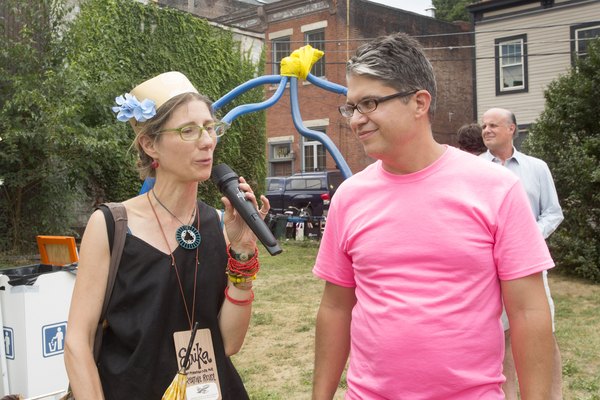 Erika Johnson is the Executive Director of Pittsburgh Center For Creative Reuse, a nonprofit dedicated to promoting resource conservation, creativity and community engagement through material reuse. Christiane D is an award-winning visual artist, poet, writer and musician. 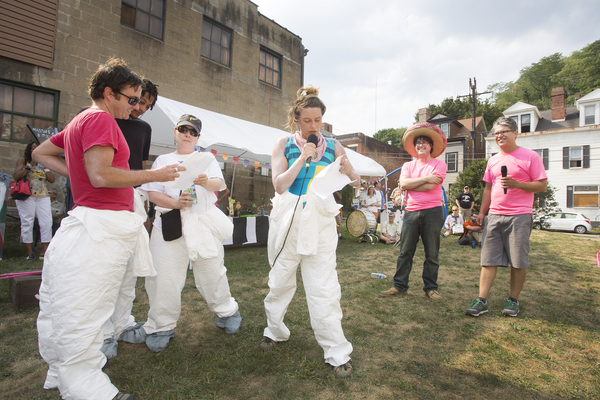 Over the past 20 years, her projects have been at the forefront of the Pittsburgh art scene. 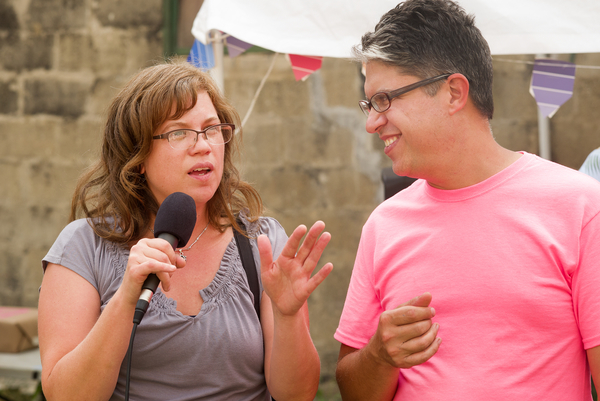 She is also the Artist Relations Manager at the Greater Pittsburgh Arts Council. 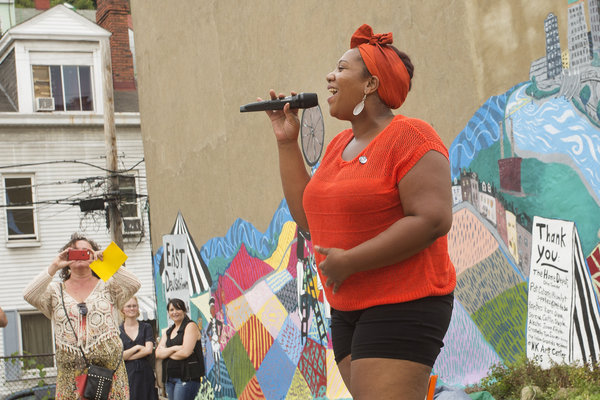 Maritza Mosquera is a Pittsburgh-based visual artist, educator and curator. She is known for socially engaging, community-based work. She is also known for her work in the dynamic, critical programs at the Andy Warhol Museum that spark conversations on gender, race and social issues. 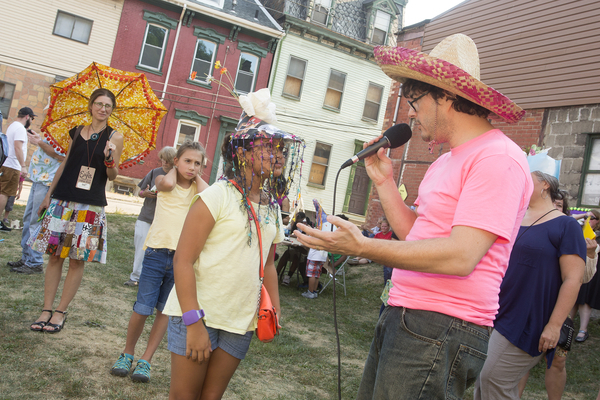 Wayne Younger is a pastor at Cityview Church, a Christian congregation centered in the East Deutschtown neighborhood. Cityview Church actively serves the North Side community with strong neighborhood and youth-centered programs. Project sponsors include Pittsburgh Center for Creative Reuse, City View Church, Girlfriends Youth Group, Construction Junction, Artist Image Resource, The Home Depot, Pat Catan’s / Prism Art Supplies and ioby. ioby is a community of donors, volunteers and leaders dedicated to making their neighborhoods stronger and more sustainable. 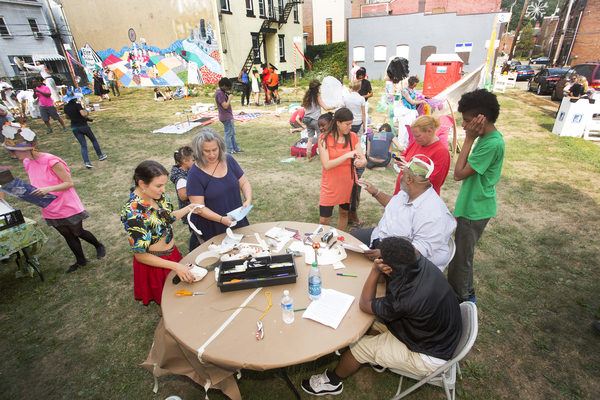 The ioby mission is to deepen civic engagement in cities by supporting community-led neighbor-funded projects in urban neighborhoods. 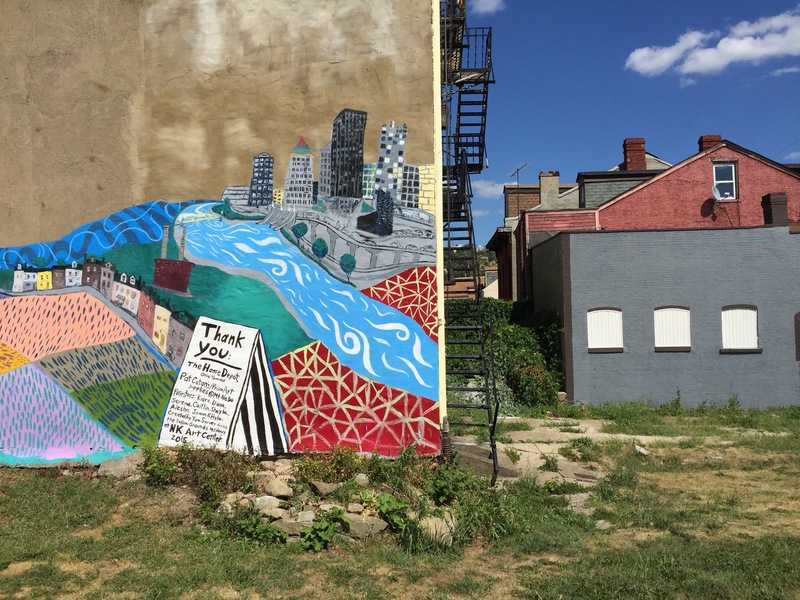 We greatly appreciate the generosity and support the East Deutschtown community has shown Neu Kirche in promoting and establishing our public art initiative. 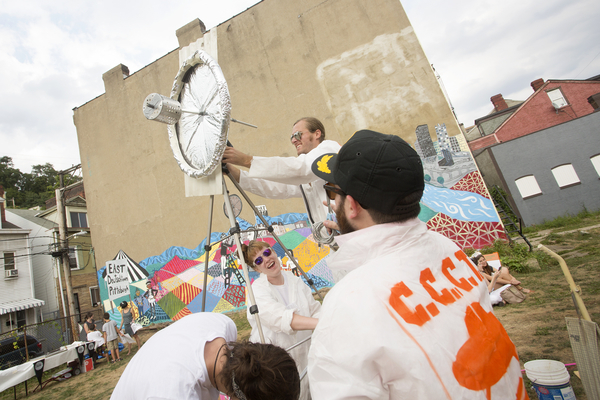 Neu Kirche Contemporary Art Center is a is a nonprofit 501(c) (3) organization founded in 2014 with a focus on the local community, operating as an economic, social and cultural asset for the advancement of the Northside. 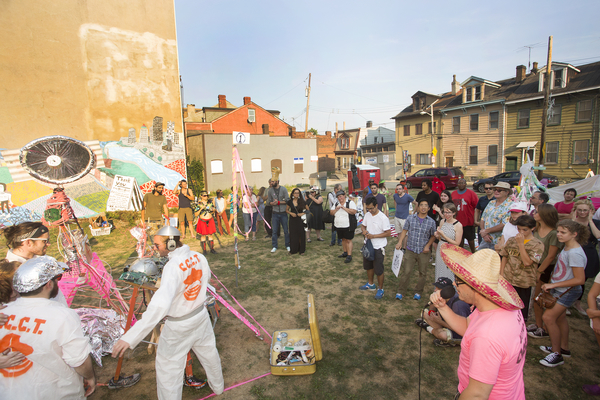 Neu Kirche supports contemporary artists, proposing new ways to think about art making by promoting cultural vitality through community engagement. Temporary outdoor sculpture in front of the School building at Pittsburgh Center for the Arts. 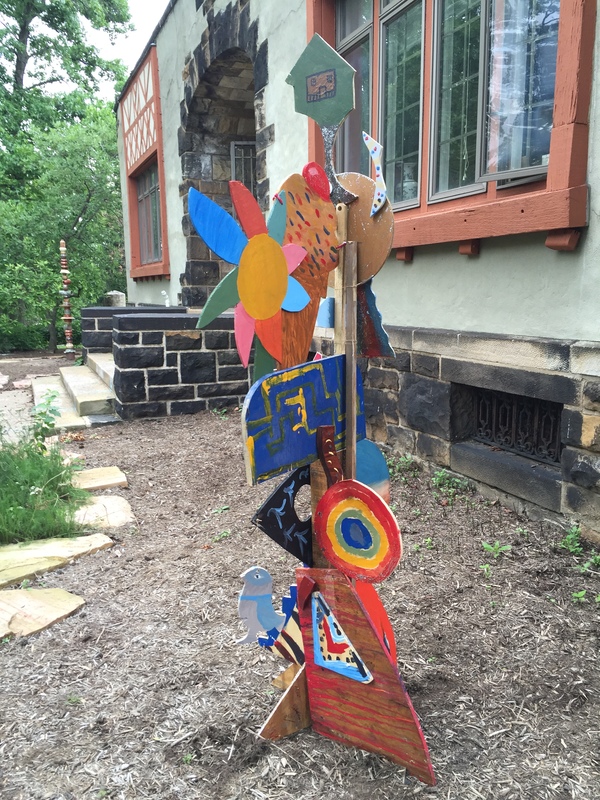 I worked with a group of 8 – 10 year old students at Pittsburgh Center for the Arts to create this wooden outdoor sculpture. Each student designed a small public art model. A motif, pattern or object was selected from each model to include in a collaborative piece. Shapes were cut out of wood. Each student painted their shape. Shapes were combined to form one piece. The project is held to the ground with garden stakes and may be removed to install in an art gallery as a freestanding sculpture. In nine days I’ll begin preparing the grounds for Art Olympics. 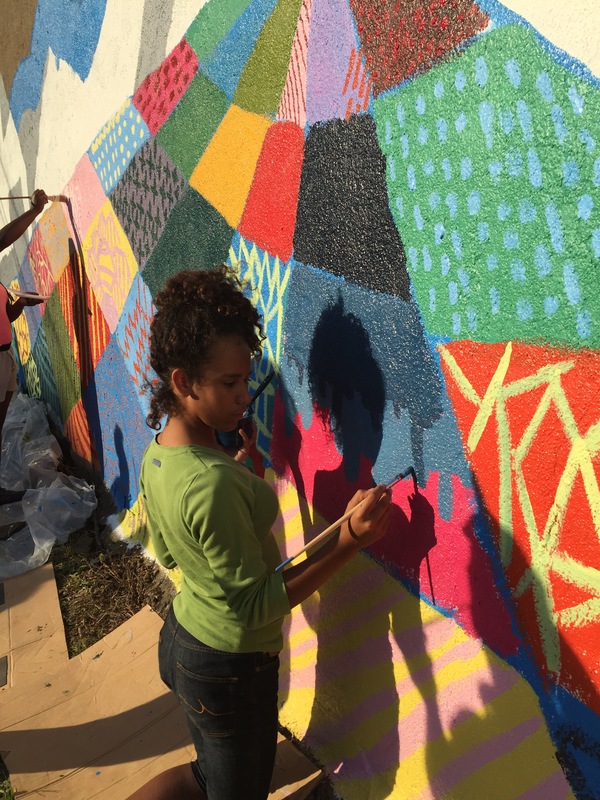 Part of the process involves painting a mural on site with the assistance of a community youth group. The project is part of the Fallow Grounds residency program of the Neu Kirche Contemporary Art Center. 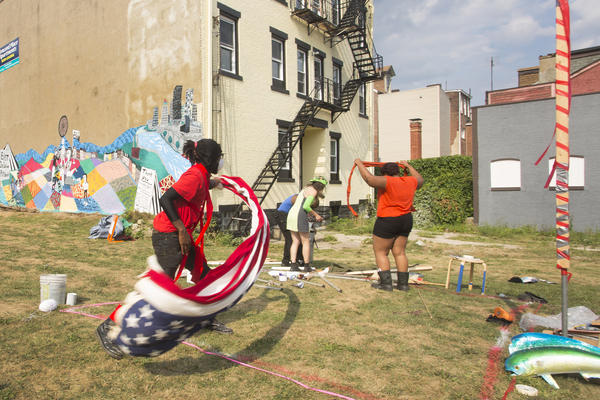 Fallow Grounds activates vacant lots, transforming them into sites for public art and community interaction. 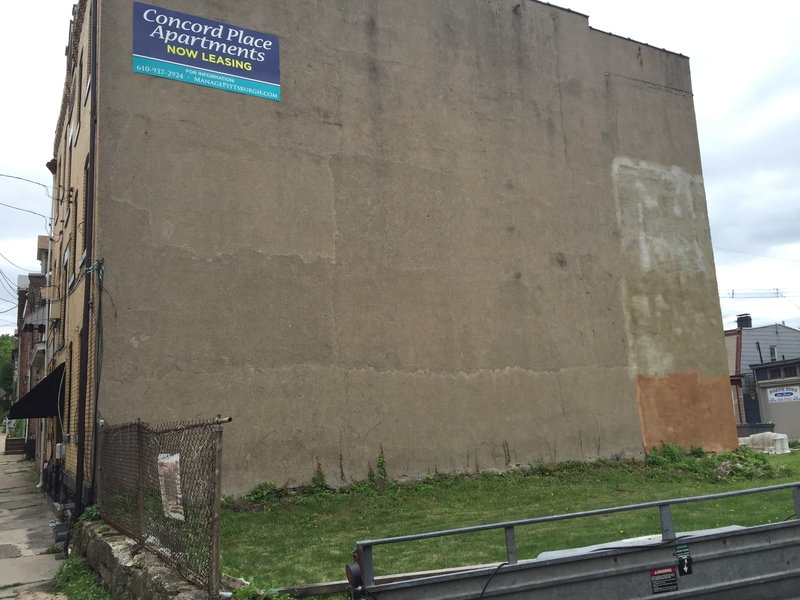 Mural plan for Concord Street, East Deutschtown, Pittsburgh. I’m still working towards my fundraising goal for the August 29th Art Olympic Festival. 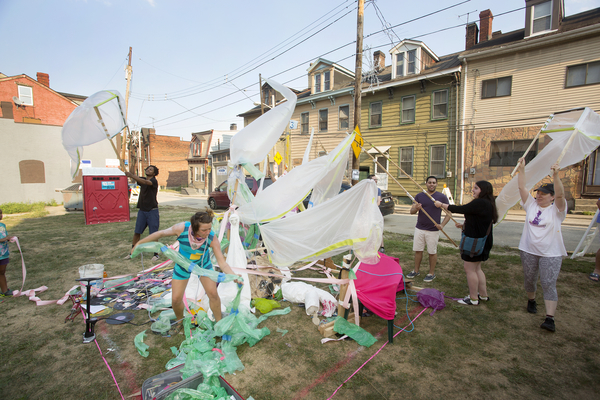 The free community art festival will feature three teams of artists competing over two hours to build winning sculptures out of piles of junk. The project also involves: 1. 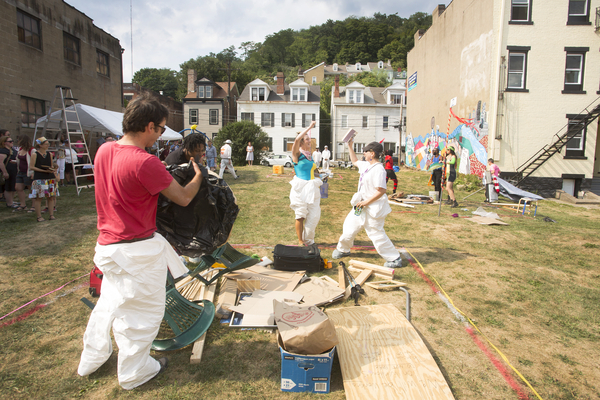 Painting an outdoor mural at the event site with a community youth group. 2. Holding a trophy building workshop for neighborhood children and adults. This workshop will teach sculpture assemblage and repurposing skills. 3. Hands on art making activities at the event including puppet making and printmaking. Event site for The Art Olympic Festival. Donations to the event are tax-deductible. Funding will help with the costs of the production, rental equipment, and artist fees. Link to ioby crowdfunding campaign. Help to support public art! Thank you!